If you are reading this article you might be considering to become a private pilot. Before going into details let me explain you why I decided to become a private pilot. I’ve always had a passion for aircrafts and at some point in my life I wanted to become an airforce pilot but that never happened! So I’ve always had the idea of flying as a private pilot. At the beginning, I thought flying was an expensive and difficult thing to accomplish but I realized that it was not impossible! I started flying at the age of 30 because I didn't want to leave this hobby for my retirement days and now I’m proud to say that I finished my private pilot license in 42 hours when the average private pilot license in the US is obtained in 70 hours. 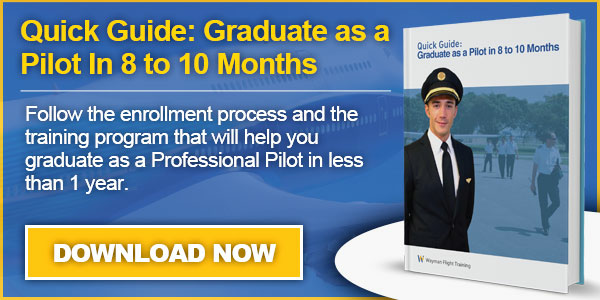 The following are the 3 practices I put in place to get my private pilot license in less time. One of the major costs in the flight training is the flight time and most of the student pilots waste their money because they don’t prepare before they fly. If you want to reduce the cost of your training, planning is a game changer. Commitment: A big part to reduce the cost of your private pilot license is to schedule the time you are going to devote to become one. When I say “Schedule”, I mean take a calendar and put 2 to 6 hours a week to study and fly. It is important that you fly and study often as you can. If you leave big gaps (days or weeks) in your training, it will make you forget important aspects of flying and you could repeat your flight lessons 2 or 3 times. Resulting in higher cost for your licence. Money Availability: Call or visit flight schools and ask what the cost is for the private pilot program. This might be within a range from $8,000 to $12,000. All this depends of the aircraft equipment the school has available and the ground and flight training you will receive. Some flight schools offer a pay-as-you-fly and others offer a discount option for the purchase of block times. Regardless of the payment method, it is recommended that you have this money available. This will make your flight training smoother and it will prevent you from stopping the program resulting delays, review previous flight lessons and increasing the cost of your license. Once you are enrolled in the program you should have a meeting with your instructor and ask them as many questions you have about your training. Flight instructors are eager to help students and share their knowledge without restrictions. Also, I recommend you to ask to your instructor and takes notes of what are you going to cover in the next lesson. Then, go and take the time to study the lesson, make some notes and write down the questions to be clarified with your instructor next time. Invest in a GoPro camera and audio cable adapter to record your audio in your flights. It is not only cool but It will make the difference once you finish your flight lessons. Most of the time I review the video of my previous flight to see my mistakes and improve my skills. Also, it will help you to have a visual reference of every maneuver and it will refresh your memory weeks or months later right when you need to be prepared for the license exam (checkride) with the FAA Examiner. Follow these practices and I assure you you will have your license soon and at the less cost possible.